Those not sold on Necrophagist's game-altering debut Onset of Putrefaction probably won't think so highly of its inevitable follow-up Epitaph, but whether or not this really expands upon the ideas or musical prowess of its predecessor is immaterial: Muhammed Suiçmez made a lot of sound decisions for this which kept the formula fresh and relevant in an age when loads of bands were starting to exhibit the same impressive level of chops and performance, forcing technicality upwards and onwards. I myself do not break this one out nearly so much as the first album, but I certainly wouldn't have minded some if Muhammed were to somehow retroactively apply the efforts he went towards to grow the band to Onset's songwriting, and wouldn't find a lot of ground on which to argue with those who find this the superior of the two. First and foremost, Epitaph is where Necrophagist became an actual band, or rather 're-emerged' as a band as it had been before the debut recording. The rhythm section was rounded out by an impressive trio of players, not the least among them guitarist Christian Muenzner and drummer Hannes Grossman, who would both also go on to impress in their other band Obscura (which I'll be covering more of after this one). They fit into Muhammed's musical vision as if it were there own, and naturally Epitaph benefits as a result. Having an actual drummer makes a major difference, even if Grossman arguably makes it all seem just as effortless as the programmed percussion. But I certainly thought the mix here made the snares and kicks stronger. In fact, despite the mechanical aptitude of each performance here, the entire production just feels warmer and more inviting, a mix of Arsis-style melodic death metal with the clinical pathos of brutal death...five years were not spent in vain. Stefan Fimmers (who would later go on to play in Pestilence) adds another level of fluency by weaving in bass-lines that aren't remotely as intimidated by the guitars as they might have felt when Muhammed played them himself out of necessity. While it's still the driving, deft melodies and rhythm guitars which compel and inform the listener through this, there is no longer that unevenness which knocked Onset down a few pegs. Secondly, though there is a particular portion of Epitaph which feels like a mere retread of the prior album, just playing catch-up with a full roster of human band members, there are still minor nuances and picking techniques which are employed here differently than the debut. Necrophagist is generally about the details, though they're overt and easy to discern, and Suiçmez' well of ideas was clearly not depleted by this point, especially now that the bass is being contributed on a whole new level to support the flagrant surgical hammering of his note choices. Granted, we're talking maybe 15-25% of the content here, since so much does sound like a reflection of what had already been written in the 90s, but it did give hope that, should this have become a prolific entity with a more consistent recording catalog, there probably would have been some small degree of variation throughout. The leads here actually sacrifice a little fraction of their technique for more feeling, in some cases seeming like the easiest parts another musician would be able to pick up and play him/herself, and unlike what I might have expected, Epitaph's compositional level doesn't force itself so much further away from humanity...this is more stable, and at times, basic in structure. 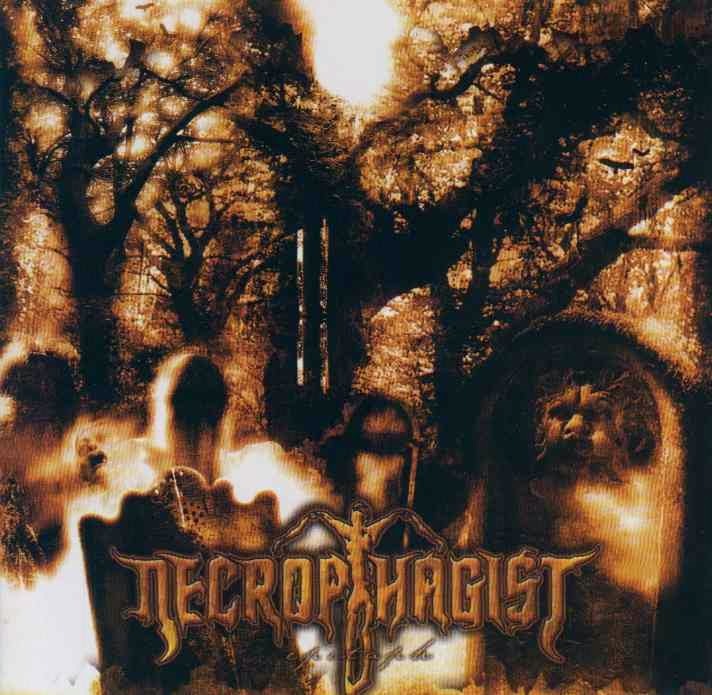 However, as increasingly enticing as Necrophagist had grown by this album, there's enough material here which thrives off familiarity that I just never felt quite so impressed as the first time, and it's really only an album I break out alongside other bands like Cytotoxin, Beyond Creation or Arsis when I'm interested in hearing style over substance. Few tunes, if any here have the capacity to move one's spirit in any direction, beyond just satisfying his/her visceral response to the impressive, fluid instrumentation. Vocals are still quite average for the death metal medium, easily lost in a shuffle of other artists, and while these guys might be able to play a few circles around veterans like Suffocation and Incantation in terms of dexterity and technique alone, they lack the concrete brutality of the former and dissonant magnificence of the latter. 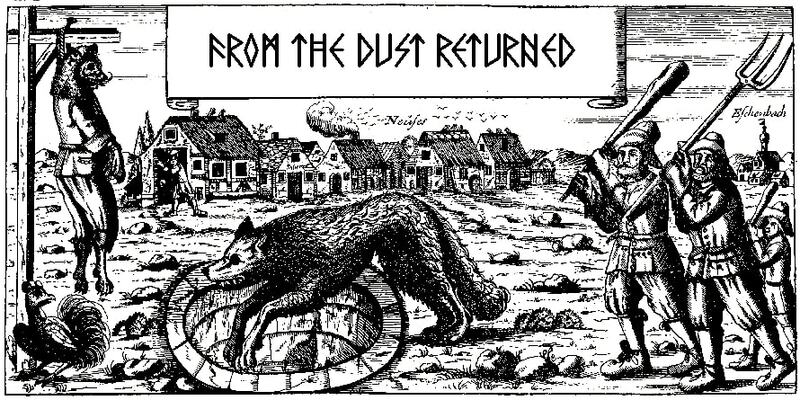 In short, the Germans had become less distinct here than even the mechanical Onset, and that likely would have remained the case had they kept spewing out material through the 21st century. We've all been waiting a decade now for something new, but perhaps it really is better to have such a substantial hiatus if it means Suiçmez and company will have something more unusual and adventurous on offer once they reappear.